Quickly develop reliable forecasts and predict trends using time-series data. Generate models easily, even if you’re not sure how to choose exponential smoothing parameters or ARIMA orders or how to achieve stationarity. Control each parameter when building your data model, or use expert modeler recommendations as a starting point or to check your work. 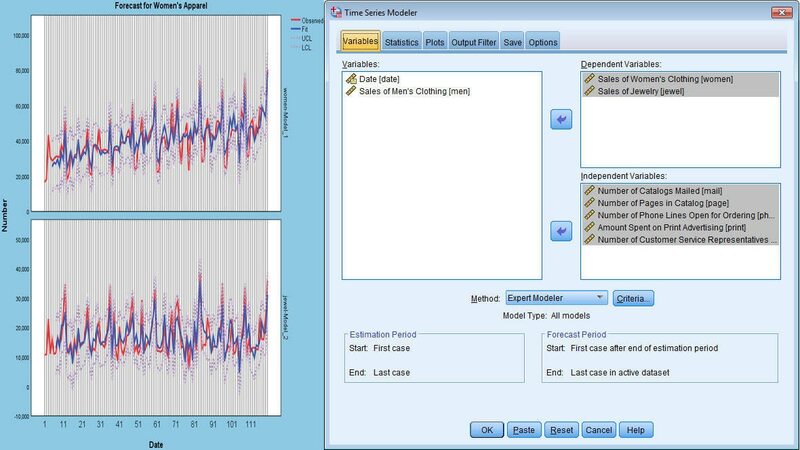 Update and manage forecasting models efficiently, allowing more time to explore why some models diverge from the norm. Create forecasts at the level you need: by product line or individual product, or across geographic and functional areas. Automatically determine the right ARIMA or exponential smoothing model. IBM SPSS Forecasting requires a valid IBM SPSS Statistics Base license.